Billed as ‘one woman’s search for love, happiness and the perfect wave,’ here is a book that manages to be both a brilliant piece of travel writing and an amazing and inspirational human interest story. 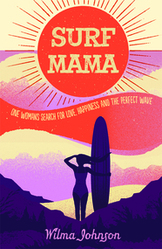 The perfect poolside or beachside read, Surf Mama has huge appeal. And it might just prompt you to go in search of your own wave euphoria.